Your company will be supported by the largest accredited business organisation in West Cheshire and North Wales. 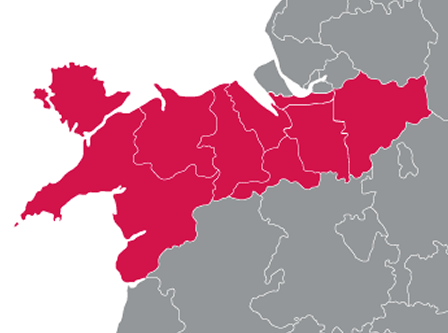 Whether you’re based on the Isle of Anglesey, Gwynedd, Conwy, Denbighshire, Flintshire, Wrexham, Cheshire West and Chester or the Weaver Valley; if you’d like to meet and work with businesses throughout this area we can help you to do this. Simple! You can either call us on 01244 669988 to find out more and arrange a meeting with our membership team, or complete the below form and we’ll be in touch shortly. What does being Accredited to the BCC mean to our members? All prices shown within the table above will be subject to VAT at the current rate. As part of our aim to support business in our area we provide the opportunity for members to pay for their membership by Direct Debit over 10 months at no additional cost. What Regions Do We Cover?